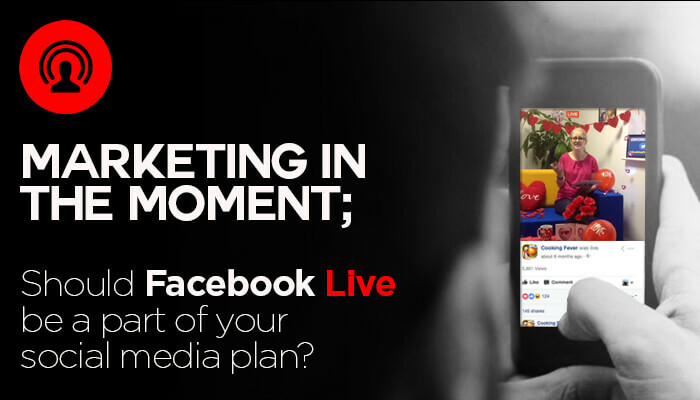 Marketing in the Moment; Should Facebook Live be a part of your social media plan? 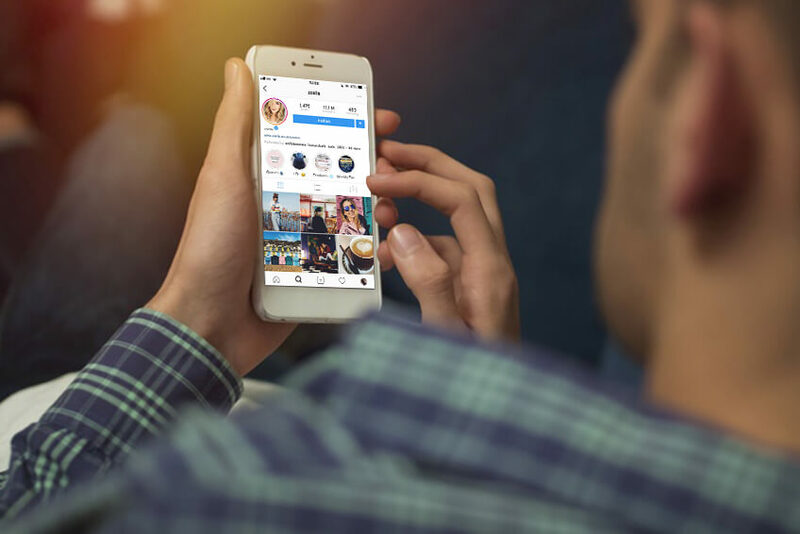 Whilst most people will now have viewed a number of Facebook Live videos on their feed, many brand managers and marketers are still not integrating them into their social media strategy. In March 2016, Facebook reported that Facebook Live videos are watched 3x longer than videos that aren’t live anymore and stated: "We are making a small update to News Feed so that Facebook Live videos are more likely to appear higher in News Feed when those videos are actually live, compared to after they are no longer live," meaning these realtime broadcasts help place you in front of your customers organically as you stream. In terms of engagement, Facebook Live delivers incredible results, averaging 10x the engagement of a non-live video. Commenting can be amplified with live giveaways and hosting Q&As so the audience feels truly a part of the interactive experience. Many brands are put off by the challenge of creating a studio environment with the lighting, sound and camera requirements that come with it. But results are just as good with lo-fi broadcasts as polished studio performances, with the audience mostly sticking around for the content of the show, rather than expecting an ambient TV-style experience. As an agency that has delivered a lot of Facebook Live broadcasts, we've seen these build a loyal and invested audience base (heck, one of our weekly Live shows now has it's own fan-created fan club!) and one that is motivated to make purchases in realtime and shortly after such shows. When targeting Gen Y, Millenials and the newly recognised Xenials, Facebook Live is an obvious choice. Using video, interaction and being realtime, you're marketing in the moment to those who make their purchasing decisions online. In fact, when Facebook first trialed Facebook Live, they did so with a test group of mostly student age users. Ah, keyboard warriors on social media. It's a universal truth that if you operate on social media, you are fair game for the unhappy or possibly unhinged. It's all a matter of how you deal with it. The following may assist you in limiting exposure and damage from such individuals. Publish "House Rules" for your social media channels. What you will and won't accept. If people deviate from these, they will be blocked from the page. In my opinion, it's not OK to block people who are naysayers – they need to be managed – but if people swear or bully others on page, that's a ban. 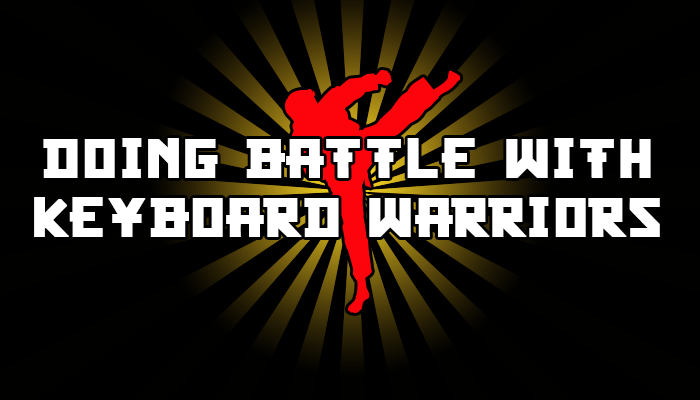 Invite keyboard warriors to take the conversation to PMs so you can discuss their concerns and offer your view. This invitation should be offered upon their FIRST comment. If they comment again on the post, remind them of your offer but state you will respect their privacy and won't take the exchange further in the public domain. Focus on your happy social media users. We look after some very, VERY large social media communities and if you keep the vast majority happy, and get to know their preferences for what they want from your channels, they become self-policing. It's actually so rewarding to see this in effect. It takes a lot of labour but pays dividends. If your social media response team have been dealing with a lot of complaints at once, rest those people and put other people onto responsive communications for a while. It can be very debilitating to handle complaint after complaint and a little break can refresh customer service personnel so they always give the highest quality service. Don't place the handling of complaints and keyboard warriors with a junior member of the team. Situations can escalate out of hand all too quickly so, as you would in a normal face-to-face business scenario, give complaints and issues handling to an experienced, customer-focused individual. We've all read stories in the Daily Mail of poor social media response handling by inexperienced or downright gung-ho personnel! If viable, monitor and respond on social media on a 24/7 basis. According to research from Lithium Technologies, 53% of customers want a response on Twitter in under an hour for a general query but this rises to 72% if they are raising a complaint. For many consumer brands, most customer communications will happen during evenings and weekends. Social media never sleeps. It is worth noting that in the same Lithium Technologies research, 29% of respondents said they would tell friends and family of their poor experience of the brand and 24% would consider buying less from the company in the future. These stark financial implications show the importance of investing in both the timeliness and responsiveness of your social media customer care operation. I hope the tips above will help you disarm those keyboard warriors and turn complainants into superfans. 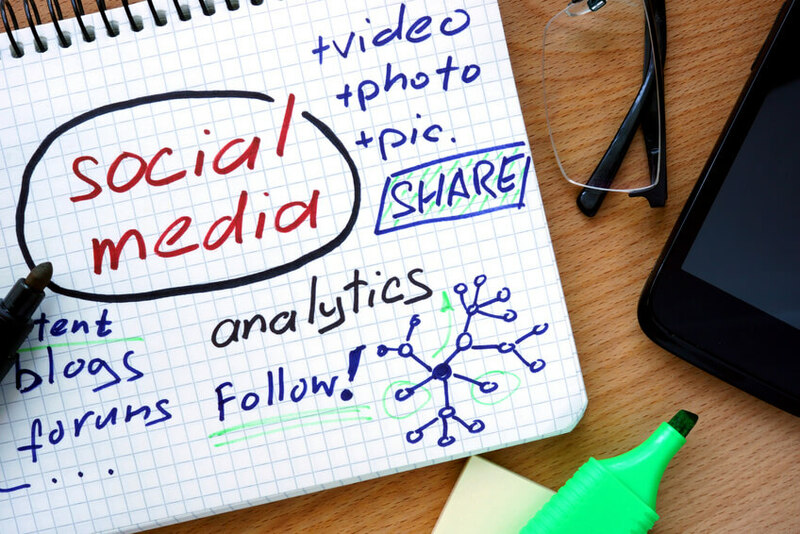 If you'd like to talk more about how TAMBA can help you with your social media strategy, please call us on 01543 495 888. 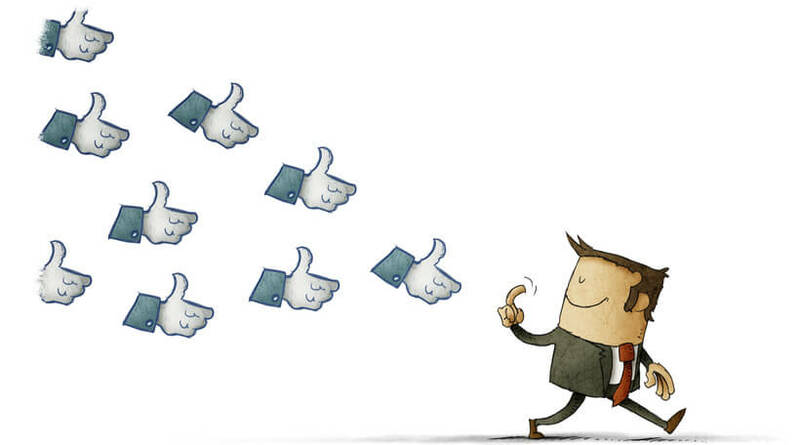 If you're in consumer marketing, no doubt you'll have considered or tried influencer marketing as part of your overall marketing mix. 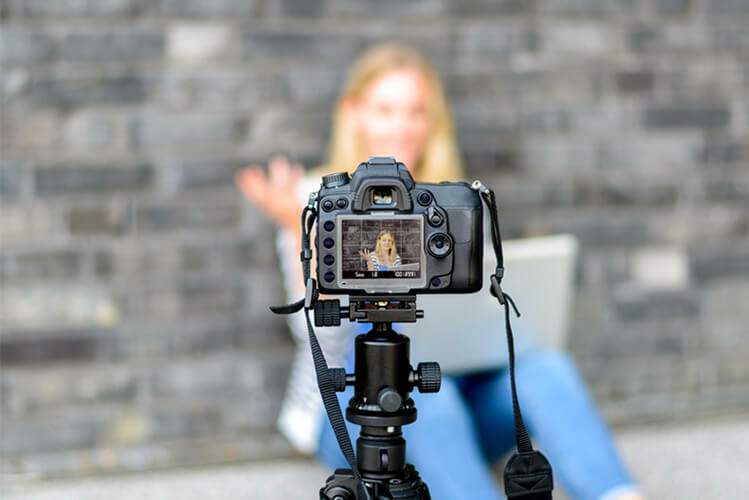 As an agency, we're often brought in after a failed attempt at influencer marketing and there are several key reasons why campaigns have been unsuccessful and it's often down to not attracting in the right influencers in the first instance. You, the brand, want to work on a CPI (cost per interaction), gifting or sales commission basis. Top tier influencers and celebrities will not work on that basis. They know their value and want to be paid for their time and the scale of their network. It's that simple; they'll turn you down in seconds. Would a model be paid a commission for the clothes sold based on a billboard they're shown on? No. Neither will top flight social media superstars. Your demands don't match your budget. You have a small budget, but you want 5 videos, all seeded to the influencer's social channels as well as featuring on their YouTube channel, and you'd like them edited to a polished finish too. It won't happen. Consider if you owned the channels and you had that sort of invested audience. Would you work for that budget? If your budget is tight, that's OK – there's still a lot you can do – but think about the channels and size of audience you can realistically get for that and choose from the talent pool accordingly. You want to tell the influencer what to say. Any influencer worth their salt will ONLY accept a review or endorsement opportunity if they genuinely like and see value in your product or service. You can ask that hashtags are included (of which #ad or #spon should of course be one) and make editorial suggestions but you cannot force them to use your exact wording. Nor should you, it is their voice which has garnered the support of their audience, not yours. They never read your email in the first place. Brands often try an in-house campaign in the first place because they don't want to pay agency fees. However, that's a false economy when firstly many influencers are managed by talent agents and managers who don't even present all the opportunities they receive, to their talent. Agencies like ours have relationships with many of these agents and managers to ensure our clients get consideration and presented to the talent for agreement. Furthermore, because we are brokering deals day in, day out, we can often get far better costs than a brand getting a one off deal at rate card prices. You just aren't a fit for their audience. 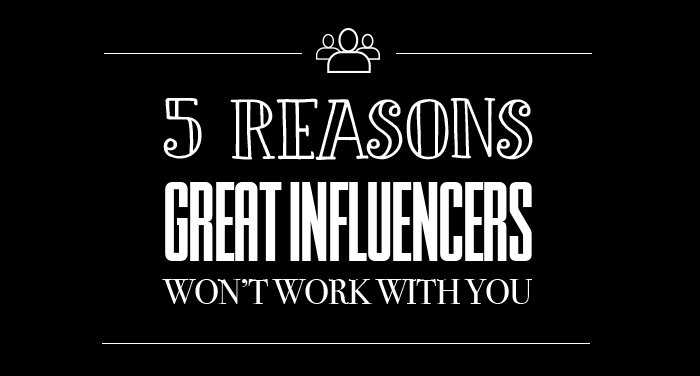 Great influencers are fiercely protective over their audiences and the loyalty that has been built up over time so on occasion, no matter what financial incentives are at play, they won't work with you. Listen to these influencers and use this to help guide your next choices of who to approach.